Dr. Ming Zhao Cheng MD (China) MSc (Oxford) PhD (London) MBAcC MATCM is highly regarded in the Acupuncture and Chinese Medicine profession. He was on the Governing Board of the British Acupuncture Council for many years, and he was awarded a fellowship by the British Acupuncture Council in 2017 for his outstanding service to the acupuncture profession. He is currently the Education Executive of the Association of Traditional Chinese Medicine, a fellow of the Royal Society of Medicine and an Associate Professor and postgraduate course leader of Traditional Chinese Medicine at a University in London. Dr. Cheng practises privately at his clinics in Canons Park Edgware, and Anamaya in Kensington London by appointments. As an expert representative on the UK Department of Health’s Working Group for Statutory Regulation of Acupuncture, Chinese Medicine and Herbal Medicine Practitioners, Dr. Cheng is an authority in the practice of acupuncture and Traditional Chinese Medicine. He has been working tirelessly for the establishment of statutory regulation of his profession. Dr. Cheng has more than 40 years of extensive experience in the practice, teaching and research of acupuncture and Chinese medicine. He followed Ziqing Lu, a famous master in his home-town in China in the 1970s. 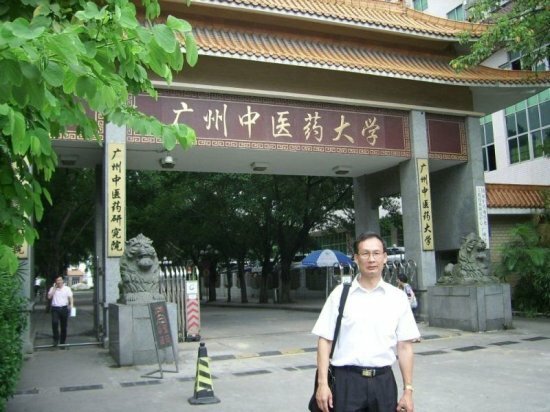 He trained and qualified as a Medical Doctor in both Chinese and orthodox Western Medicine in Guangzhou, China in early 1980s. He subsequently studied in Oxford University on a British Government Scholarship and gained his MSc degree in medicine. He was awarded PhD from University of London in the 1990s. As a leading acupuncture and Chinese medicine practitioner, Dr. Cheng sets a high professional standard for the practice of his profession. He is very popular with his health conscious clients. He treats many conditions in general practice and he is particularly specialised in musculoskeletal conditions, stress-related conditions and hormone-related conditions and fertility problems. He speaks fluent English, Mandarin and Cantonese, which enables him to communicate effectively with patients. He has a warm and caring personality and is dedicated to providing a high standard of acupuncture and Chinese medicine services for his patients. By working in partnership with you, Dr. Cheng can help you maintain your health and keep you on the path to wellness, strength and happiness. Your consultation and treatment will be by appointment in one of the clinics that Dr. Cheng attends. You will be asked to fill out a Patient Record which asks for general personal details and a brief description of your current symptoms and medical history. Dr. Cheng will then ask you to expand on the history of your current symptoms, any tests you may have from orthodox medicine and any treatment you are currently receiving or have received. Dr. Cheng will find out about your general lifestyle including your diet, sleeping patterns and emotional state. He will perform a traditional Chinese medicine diagnosis such as taking your pulse and asking you to show your tongue. Where necessary, Dr. Cheng will carry out physiological tests similar to those performed by orthodox western doctors, such as measuring your blood pressure, measuring the range of movements of your joints, neck and spine, and palpating your abdomen. These are all important ways for Dr. Cheng’s to assess the general state of your health and find out where imbalance within your body is occurring. Dr. Cheng is dedicated to providing a high standard of acupuncture and Chinese medicine services for his patients. Dr. Cheng will discuss with you the most appropriate forms of acupuncture and Chinese herbal medicine treatment, give you explanations on what is involved and work out a treatment plan with you. Through this healing partnership, Dr. Cheng can ensure that you are always personally involved in the healthcare that you receive and help you make the right choices for your well-being. Dr Cheng is recognised by insurance companies, including PruHealth, SimplyHealth and WPA. Patients who have health insurance policies with these insurers may be able to claim payments for Dr Cheng's acupuncture treatments from them. List of health insurance companies that recognise Dr Cheng: WPA, National Friendly, Simply Health, PHSA, AVIVA Healthcare, Pru Health, Groupama Healthcare, Exeter Family Friendly, General & Medical Healthcare, WHA, Westfield, Medicash, HSF, Healthshield, Birmingham Hospital Saturday Fund, Engage Mutual Assurance, Saga. Please ask your health insurance company for detaisl regarding your policy as there are different levels of cover.